I always know that I’m on my way somewhere when we reach Swellendam on the N2. Don’t ask me why – it isn’t as if the town markets itself as a halfway town between any two destinations, it doesn’t need to. It has other more obvious charms. Perhaps it is because Swellendam is three hours from Cape Town. Or it is the fact that its traffic department can be relied upon to hover on the N2 just outside town, consistently on the prowl for any obvious traffic offenders. Leaving them behind is a certain liberation. But maybe it is because this part of the countryside is so overwhelmingly beautiful – the Langeberg in the background, the open road ahead of one, wheatfields to the side – that one finally feels as though ‘holiday’ has descended unencumbered, and there is little to spoil the accompanying mood, save a rather hefty fine from said traffic department. Swellendam has two entrances, from the town’s east and the west. Perhaps it is more correct to speak about it as a route through town for Voortrek Street becomes Swellengrebel as it bridges the Korenlands River and on past the tourism office, its pavements thick with oak trees. To the east one exits town virtually across the way from an entrance into the Bontebok National Park, whilst the west entrance takes a sweep off the N2 and into town via beautiful historical buildings, many of which are now restaurants and businesses due to their advantage on the main road. The town is rich in history, filled with buildings that, thankfully, have been lovingly restored and looked after. Buildings similar to the the old Gaol in Church Square that is now a restaurant, just opposite the incredible Dutch Reformed church that dominates the skyline in the middle of Voortrek Street. 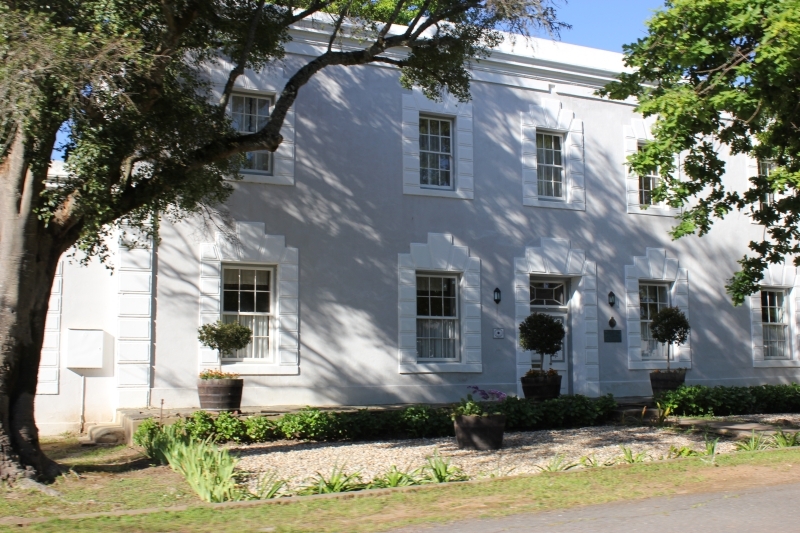 Others include the beautiful former Masonic lodge just across from the bridge over the river, now the restaurant La Belle Alliance, and the Oefenings Huis lower down on Voortrek Street where the tourism bureau has its office. We stay with the Barry family on their farm just outside Suurbraak (a dairy farm that is in its seventh generation of farming). They’re one of the original pioneer families of Swellendam, and brushed shoulders in the old days with the Moodies, the Steyns, the Rothmanns and the Dunn family, amongst others. We spot the Barry building on our way through. In the tourism office I read how Swellendam, back in 1795, took its place as one of the capitals of the world, albeit for a mere three months. Swellendam’s residents disliked the Dutch East India Company rule at the time and declared themselves an independent republic with their own president. Of course the British soon arrived in the Cape and incorporated the meagre 20 odd homes that lay along the Korenlands River back into the fold. But it’s interesting to view the town through a lens influenced by such interesting stories. 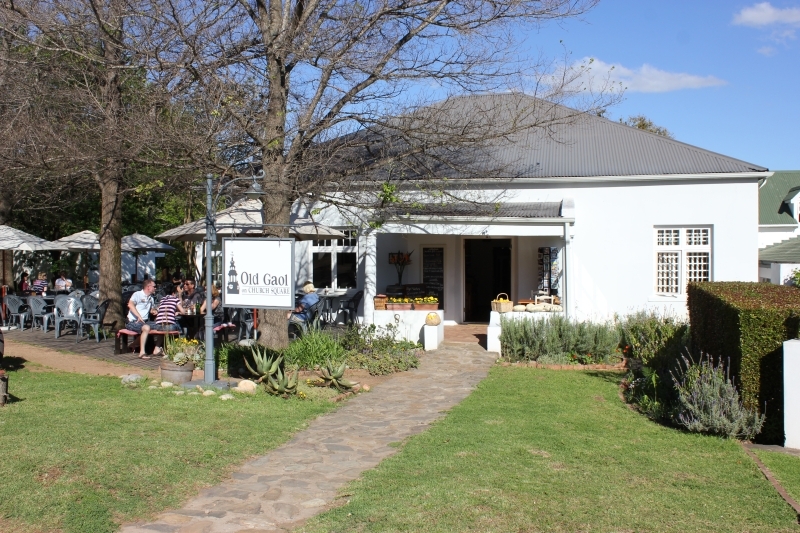 If heritage sites interest you, then Swellendam is going to keep you going for hours as there are no fewer than fifty of them. You could wander town for hours simply taking photographs of the buildings and accompanying gardens. The Rheenendal Mill – a double-storeyed Georgian building, and the Auld House – the spiritual home of the Barry family – across the way from the Tuishuise numbers 2 to 4. 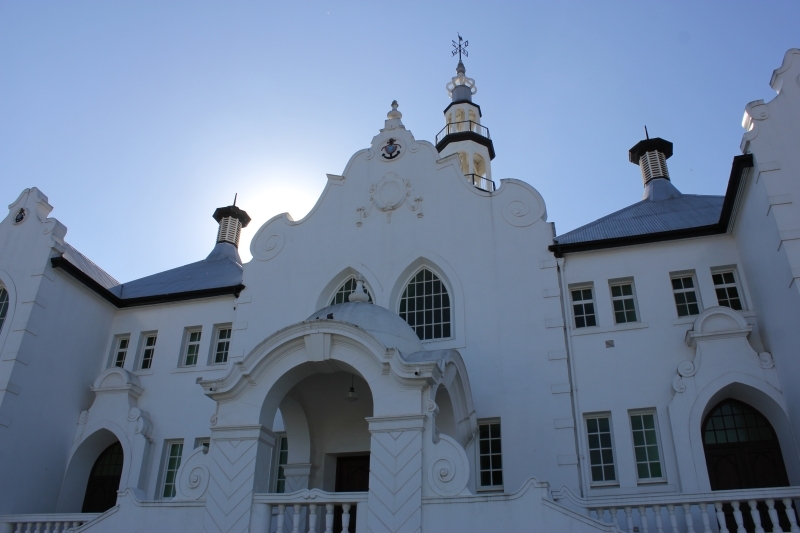 Church Square, Hope Lodge – made up of four dwelling houses, The Glen, and the Dutch Reformed Church – magnificent for its diverse styles of architecture, its decorated archway and gates all that remain of the earlier church. Swellendam today forms part of the Greater Swellendam Republic – a tourism venture to include Swellendam, Suurbraak, Barrydale, Buffeljachts, Stormsvlei, Malagas and Cape Infanta under one umbrella. Swellendam has returned to her ‘republic’ status. Not in any formal way, but to make visitors more aware that this part of the world includes expansive moutains, a portrait collection of towns, seaside fishing hamlets, a dam, and the last remaining pont crossing.